Kick off your visit on the 12th (Sun): take in the awesome beauty at Arima Onsen and then admire the landmark architecture of Tsutenkaku. Keep things going the next day: explore the historical opulence of Osaka Castle, then make a trip to Abeno Harukas, and then wander the streets of Dotonbori. For where to stay, reviews, ratings, and more tourist information, go to the Osaka itinerary planner. Singapore, Singapore to Osaka is an approximately 10.5-hour flight. You can also do a combination of car and ferry. The time zone difference when traveling from Singapore to Osaka is 1 hour. In November, Osaka is colder than Singapore - with highs of 20°C and lows of 13°C. You'll have a few hours on the 14th (Tue) to wrap things up before traveling to Kyoto. Step off the beaten path and head to Mt. Kurama and Mitsui Outlet Park Shiga Ryuo. Your inner history buff will appreciate Nijo Castle and Heian Shrine. And it doesn't end there: take a stroll through Gion, contemplate the long history of Kiyomizu-dera, hike along Philosopher's Walk, and contemplate in the serene atmosphere at Sanjusangendo Temple. To find other places to visit, reviews, photos, and more tourist information, use the Kyoto travel itinerary creator. Kyoto is just a short distance from Osaka. 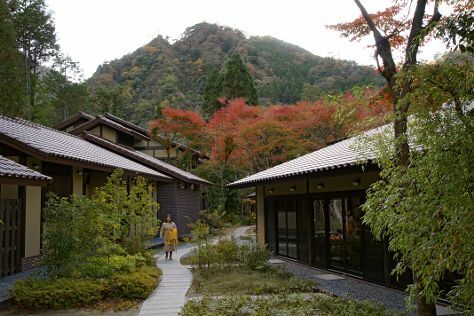 In November, daily temperatures in Kyoto can reach 20°C, while at night they dip to 11°C. Wrap up your sightseeing by early afternoon on the 18th (Sat) to allow time for travel to Tokyo. Kick off your visit on the 18th (Sat): take in panoramic vistas at Tokyo City View. Get ready for a full day of sightseeing on the next day: take your sightseeing to a higher altitude at Mt. Takao and then stroll through Odaiba Kaihin Koen (Odaiba Seaside Park). To see more things to do, photos, traveler tips, and tourist information, read our Tokyo travel itinerary planner. Take a train from Kyoto to Tokyo in 3 hours. Alternatively, you can fly; or drive. Traveling from Kyoto in November, plan for a bit warmer nights in Tokyo, with lows around 15°C. You will have some time to spend on the 21st (Tue) before leaving for home.